Clipper SC Aquatic Herbicide Delivers Unbeatable Aquatic Weed Control , Tough. Fast. Gone. Clipper SC Aquatic Herbicide delivers fast and selective control of tough invasive and nuisance plants such as cabomba, watermeal, Eurasian watermilfoil, water lettuce, duckweed, giant salvinia and more. Plus, Clipper SC Aquatic Herbicide dissipates quickly from the water column and does not accumulate in sediment. 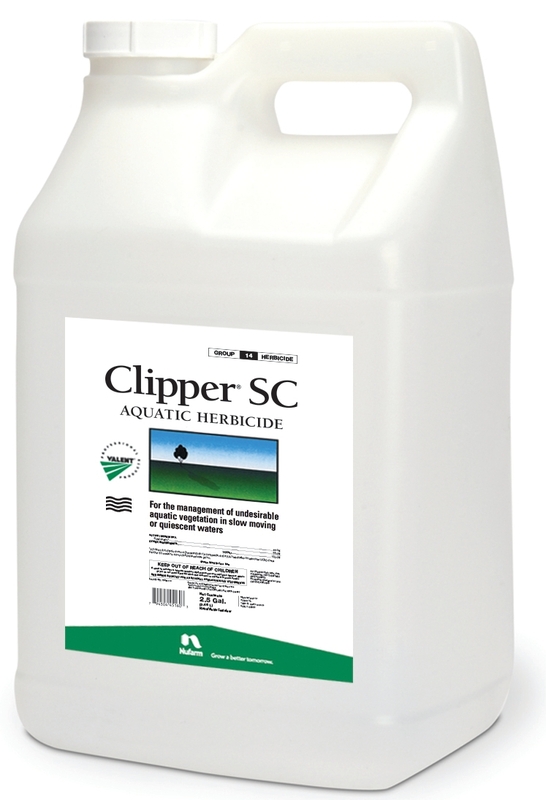 With 4 lb of flumioxazin per gallon, Clipper SC Aquatic Herbicide offers easier handling and mixing. Unlike WDG formulations, liquid Clipper SC Aquatic Herbicide blooms quickly and mixes easily. With only slight agitation, Clipper SC mixes evenly and completely. Plus, it stays in suspension longer – even after two hours without agitation Clipper SC Aquatic Herbicide shows no signs of settling. 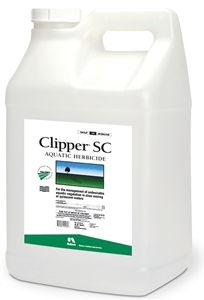 Clipper SC Aquatic Herbicide is a contact herbicide that quickly degrades in water. Good coverage and contact time is essential. Make applications with sufficient volume of water according to the label. When making applications to floating or emergent weeds, apply at 6 to 12 fl oz per acre and mix with an adjuvant approved for aquatic sites. For subsurface applications, apply Clipper SC at 200 to 400 ppb in the water column. Please see label for information on the effects of high pH on plant response and efficacy.